Cleanliness is an addiction to some which is why they require services that would promote good sanitation and hygiene in their living or work space. 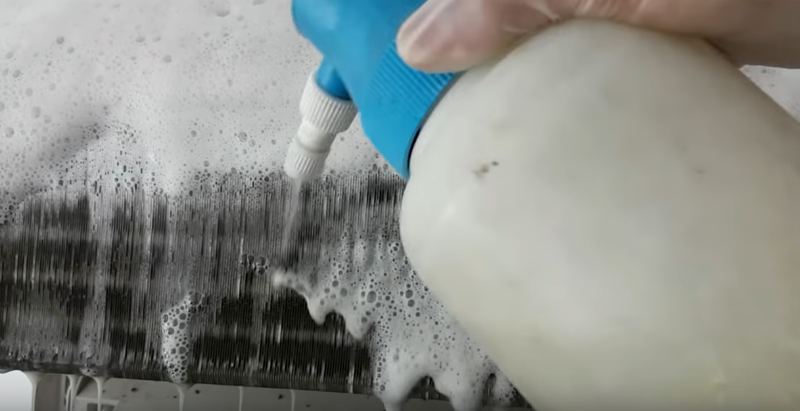 For air-conditioners, this service is called chemical washing. An air-conditioner needs to receive regular service and cleaning to run smoothly and release only clean air. These can be scheduled when you hire a professional aircon service provider where you set the time and place for the service. Not everyone realizes that an air-conditioner that doesn’t get cleaned regularly will accumulate dust and other particles. This creates an environment for molds, allergens, bacteria, and irritants to clog up your aircon vent. With the continuous operation of the AC unit, these materials can spread throughout your home as air continues to circulate. Aside from the regular aircon service, it must be supplemented by a schedule chemical cleaning service. Although general maintenance service can clean your aircon, not all bacteria and allergens are removed after every service. Chemical washing comes in as a service to make sure the last bacteria is dead and there are no more allergens inside your AC. This makes the service popular with homeowners and office spaces across Singapore because it thoroughly cleans their air-conditioners. This service is done on AC units that have not run for a long time, older units, and clogged machines that have accumulated material inside the pipes and vents. It flushes out the materials completely allowing the free flow of air. Homes with multiple pets can clog inside the unit as well. This accumulation can cause allergies in children which is why it needs to get fixed fast. Aircon chemical washing is the service of choice for families in Singapore that experience this type of problem. Find a company that offers a workmanship warranty for this service to ensure the quality of service delivered. Also, don’t forget to monitor the safety procedures followed by the aircon technicians doing the work because you don’t want the chemicals lying around and maybe contaminate other areas of your house. Coolbest Aircon delivers safe chemical wash at affordable rates for clients in Singapore. It comes with their 90-day satisfaction guarantee and delivered by licensed and insured aircon technicians. There are affordable for dismantle and non-dismantle chemical cleaning. You get great service at very affordable price with Coolbest Aircon. Why do we buy air-conditioners?